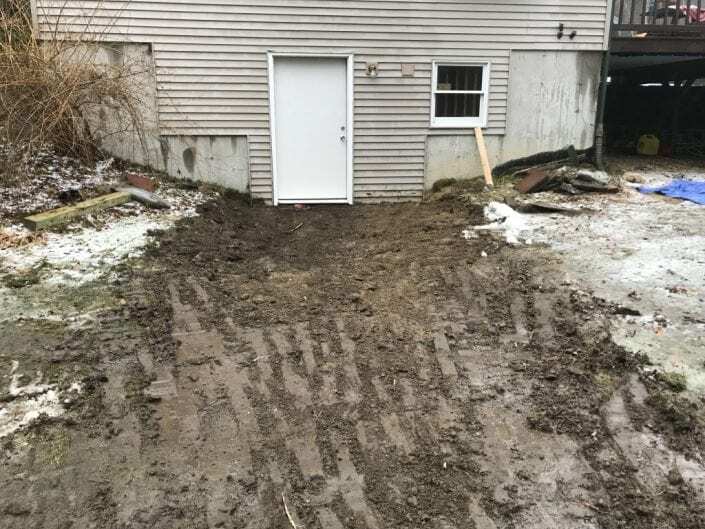 This excavation job recently performed during the winter near Dover, NH showcases how important the grading of your yard is. This customer was experiencing water flowing into the basement. You can image what this would have been like come the spring time! Our reliable contractors were able to remove pile and cut the grade down so it would pitch away from the home. 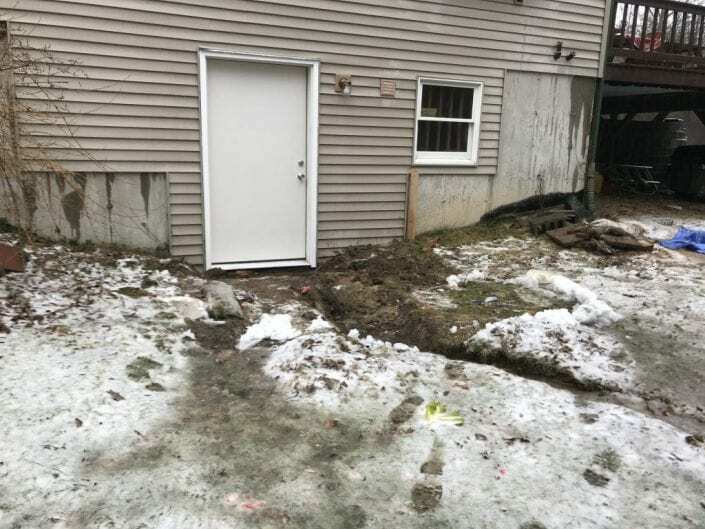 Dover NH Excavation Services You Can Count On! Over time, with all of the weather that we experience in NE, seacoast lawns could use a loving touch every now and again. When the snow melts, the water needs to go somewhere, and often that means directly into the ground, or into your basement! Flooding occurs often, but is something we usually compare to being too close to a river. It can happen any time water is present, including rain and snow. Checking out the grade of your yard is important to the safety of your home! Ready to give our excavation company a call? Call us! We are here to take the guess work out of many projects. When you think about excavation, you might be thinking about large, heavy equipment. We service residential and commercial properties… projects large and small. Give us a quick call for your quote!